Fremont has been the target of numerous housing developers looking to make quick profit by introducing economic developments that will destroy the city’s historical landmarks and community recreation areas. During the week of September 20 to 27, the Smoke Signal gathered MSJ perspectives on these issues. How do you feel about the affordable housing crisis in the Bay Area? What do you think are the underlying impacts on Fremont specifically? How do you feel about open spaces in Fremont being demolished for housing and economic developments? 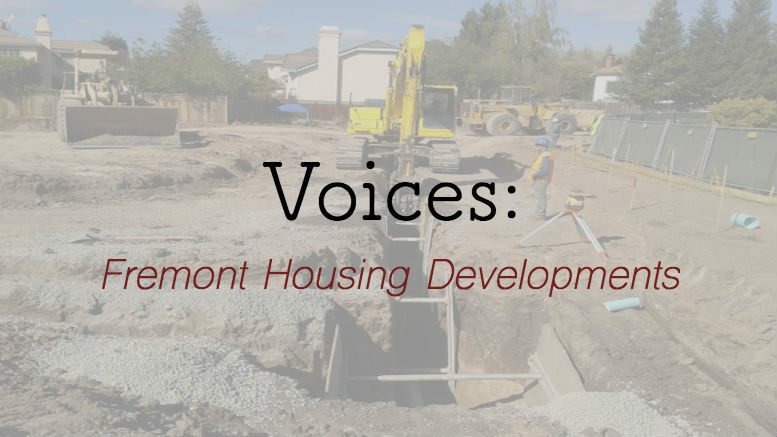 Be the first to comment on "Voices: Fremont’s Housing Developments are Destroying More Than They’re Building"